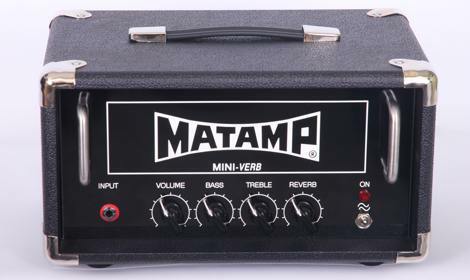 Filed Under News | Kommentare deaktiviert für The Matamp Minimat is now in it’s 3rd generation. And it comes in three brand new flavours. 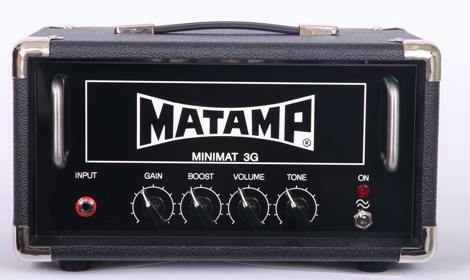 The baby of the all-new Minimat range is anything but tiny sounding. Featuring true point-to-point hardwired construction and carefully selected components. 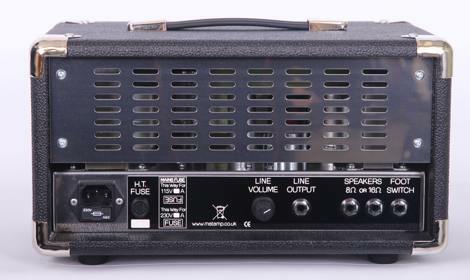 The Mini-Pro delivers an incredible tone and a surprising amount of punch from the single 6V6 class A output stage. 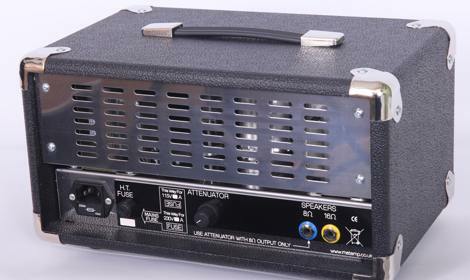 The onboard attenuator lets you crank up and keep the volume down. 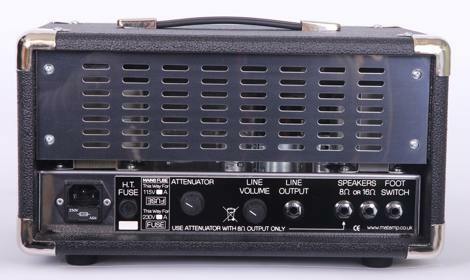 (Please note that the attenuator can only be used with the 8 ohm output) If your looking for a pure tone, capable of delivering full cleans or fruity crunch this is the amp to choose. The simple volume and tone layout let’s you get on with playing. 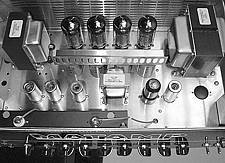 You don’t have to spend hours dialling in a tone, just plug and play. The Mini-Pro loves pedals, the modest four watt output let’s you drive it hard with your favourite overdrive boost pedals, or perhaps keep it clean and enjoy the warmth with a delay and some chorus. Whatever you want, the purity of the Mini-Pro will let you hear your pedals‘ full potential. At last the Minimat many have been waiting for. 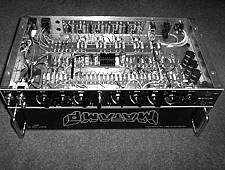 We’ve even surprised ourselves with this one – foot switchable all valve reverb! We took the Mini-Pro and added a more flexible EQ and left enough space for a full transformer driven valve reverb just like you find on bigger amps. 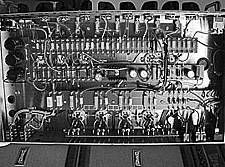 The lush sound of a spring reverb driven in this way takes the Minimat tone to a new level. This is the cleanest sounding of the new Minimat range. 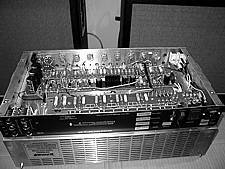 It still features the same class A – 6V6 output stage but gains an ECC83 to handle reverb duties. The tonal range is surprisingly broad for such a modest amp; clean blues, country and jazz tones are here and can be taken to the point of overdrive for a touch of grit. There’s a variable line out function that allows you to hook up the Mini-Verb to a bigger amp or to a speaker emulator for recording. The built in load means you don’t have to have a speaker connected for silent recording. 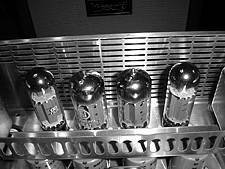 You can even use the Mini-Verb as a stand alone valve reverb unit. 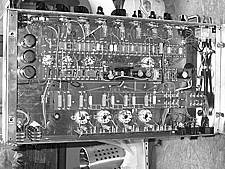 By using the line out you can patch the Mini-Verb into your effects chain and get great vintage style reverb. 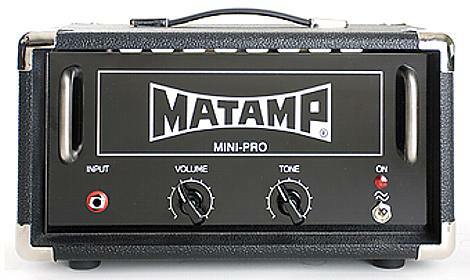 If your looking for a small amp that’s not all about distortion, here it is.